Congratulations to author Eric DuPont, translator Peter McCambridge and Publisher QC Fiction! An excerpt from Marcie’s review: “Lost earrings and lost arrows. Trick knives and silver spoons. Snowstorms and air raids. Flapjacks and upside-down pineapple cake. Gold crosses and amber barrettes. Fireworks and torpedoes, gunshots and fisticuffs. Sugars and fevers. Eggs on roses and roses behind ears. Tenors and letters. Mary Tyler Moore and Leonard Cohen. The Thorn Birds and The Origins of Totalitarianism. Outdoor operas and bottled schnapps. Chihuahuas and zebras. Skyscrapers and caskets. Stuffed animals and smuggled paintings. Nativity scenes and restaurant chains. Emissaries and mirrors. How did we choose our winner? A unanimous vote for Songs for the Cold of Heart – and it wasn’t even close. This is the first time since I have joined the jury that the results have been so clear-cut, with no need to discuss or negotiate. Now we wait to see whether the real Giller Prize jury agree with us. They will name their official winner on Monday, 19 November. For specific timings, please visit the official website. What do you think of our choice? 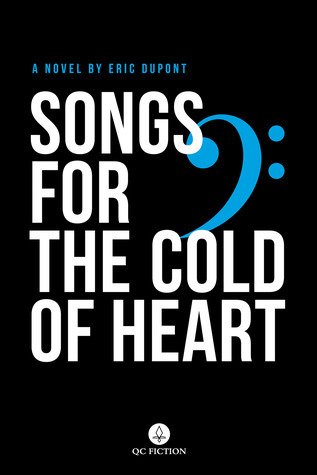 Have you read Songs for the Cold of Heart, or do you plan to?